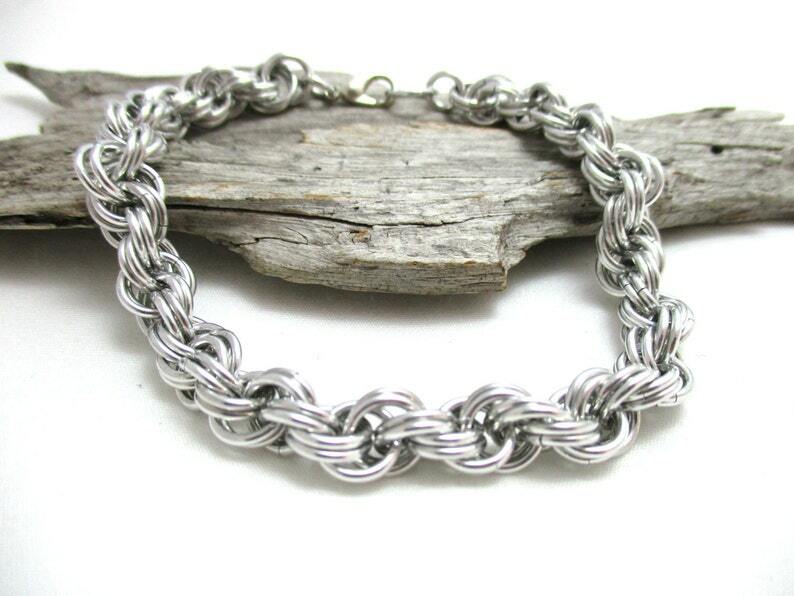 Silver 7/32" Double Spiral Chainmaille Bracelet - Perfect for Stacking! This beautiful Double Spiral Chainmaille Bracelet has been created using high quality, saw cut anodized aluminum jump rings. This bracelet has a slinky, luxurious look and feel. It's absolutely wonderful to wear.